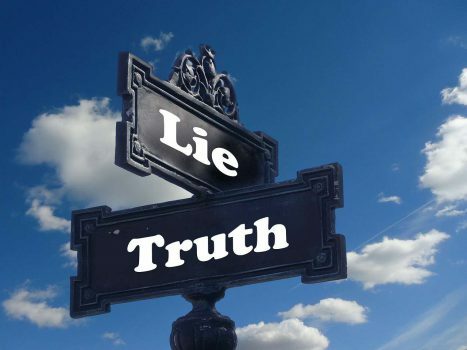 Today, I will introduce you to an Ice Breaker that is becoming more and more popular within companies: 2 truths 1 lie. We will see how to animate it in this article. Facilitators often do these Ice Breaker at the beginning of a workshop session or a meetup; it creates an atmosphere that is often much more relaxed for the workshop or the meetup. The concept of this Ice Breaker is relatively simple. However, be careful to measure the time of it because the number of participants and the lack of facilitation will significantly increase the time of it. All participants will take 3 minutes to define 2 truths 1 lie. However, I strongly advise the facilitator to give a simple example so that people understand the principle. “So for example for me. 1 / I ride 50 km each Saturday, 2 / I work regularly in Switzerland and 3 / I had to eat a raclette in July “. The goal is to make understand that the answer must be tendentious and that each people should not hesitate to play it. The explanation of the facilitator will be essential for the smooth running of the Ice Breaker. It is possible to offer post’it for participants wishing to write down their ideas. The facilitator will suggest to a first person to announce the 2 truths and 1 lie in any order; the others in the group will have to find the right answer. If the others take a lot of time to find, the facilitator will help them immediately so that participants can quickly find the answer. Each participant will announce these 2 truths and the lie as and when. For this Ice Breaker to be nice, the facilitator will have to be very good; but when it’s easy, the 2 truths 1 lie becomes a very friendly moment within a group. Do you intend to test the 2 truths 1 lie in opening workshops? Previous PostPrevious What’s the scrum model?